Unmatched in design, finishes and location, the new Pinnacle Living on Broadway Vancouver condos for sale is the ultimate investment for any homebuyer or investor in today’s marketplace. With fine dining, the best shopping, beaches and parks within a quick walk from your doorstep, the new Kits condos for sale at the Vancouver Pinnacle Living Condos on Broadway are the ultimate dream for urban living. Everything is within walking distance making commuting easy. From UBC to downtown Vancouver and from the airport to work and play, new homebuyers at the Vancouver Kits Pinnacle Living on Broadway condos will be just seconds away from your favourite hang outs, routes and work. As far as the community is concerned for new homebuyers, every big city has its central core and major street, and Broadway is just that in the Vancouver real estate market place. It’s the main artery for everything, where excitement and nightlife happens and with shopping and dining just minutes away. The energy is palpable in the Pinnacle Living on Broadway Vancouver condo location. This is where you want to be, and now it can all be yours here at the new Kits Vancouver real estate address. Plus, it’s also here, where Broadway intersects the leafy streets of Kitsilano Vancouver, that you’ll find Pinnacle Living Condos for sale. This upscale collection of new Kits homes will appeal to the most discerning Vancouver homebuyer. Each presale Vancouver Pinnacle Living on Broadway condominium will offer great views of the skyline, as well as the finest interior finishing that Pinnacle Developers are so well known for. 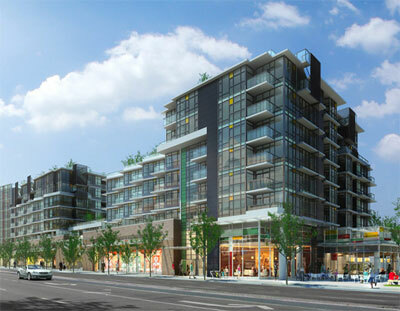 Plus, Pinnacle Living on Broadway pre-construction Vancouver condos for sale is also walking distance to everything you could possible want and do, including the ground floor retail shops that will be just floors away. Please note that presales is about to begin and the pre-construction Vancouver condo Pinnalce Living on Broadway presentation centre and display pavilion is open at 2080 West Broadway, Vancouver. You can call 604.739.2080 for more information or register online at broadwayliving.ca today. Here are some features that homebuyers should be aware of when purchasing a pre-construction Vancouver condo at Pinnacle Living on Broadway. The new Kits condos for sale is an elegantly designed building that incorporates glass, concrete and brick and is designed by award winning Bingham + Hill Architects. The developer is Pinnacle and the sales and marketing is Anson Realty. The pre-construction Vancouver Pinnacle Living on Broadway Kits condos for sale include only 134 boutique condominium residences with one and two bedroom floorplans in addition to several Kits townhouses too. The building is of concrete construction with extra sound proofing and the exterior has accents of gold, yellow, red and green. The building itself will be environmentally friendly, with Low-E glass, passive solar protection and LEED Silver certification standard. The pre-construction Vancouver Pinnacle Living on Broadway Kits condos fro sale will also feature over twenty thousand square feet of boutique retail space on the ground level in addition to secured underground parking for residents. The interiors by Pinnacle Developer here at the new Kits condos for sale include air conditioning in the suites, insuite laundry closets, wood baseboard mouldings throughout, custom stained wood suite entry door, designer carpeting, hardwood, porcelain tiling and two colour schmes and finishing options to choose from. New homebuyers will love the gourmet kitchens at the new Pinnacle Living Vancouver Kits condos for sale that will have high end appliances by Bosch and Fisher & Paykel in addition to custom designed wood cabinetry, Blumotion drawers/hinges, contemporary pot lighting, dual stainless steel undermount sink, single faucets and granite countertops. The spa inspired bathrooms here at the pre-construction Vancouver Condos on Broadway include under mount American Standard porcelain sinks, custom mirrors, glass walk in showers (per plan), dual flush toilets, polished chrome faucets, designer cabinetry, marble or granite counters and luxurious soaker tub with tiled surrounds. The finishing is amazing in these new Kits condos for sale by Pinnacle. The Pinnacle Living on Broadway new Vancouver condos for sale will offer some convenient extras, but not too many so that your strata maintenance fees are manageable. There is a recreation area with a pool table, TV room and bar/kitchen area. Also, the new Kits condos at Pinnacle Living on Broadway has a fitness studio, urban garden plots, green spaces, lush professional landscaped grounds and a children’s play area. 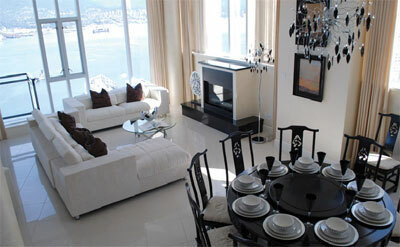 Also, the Pinnacle Living Vancouver condominiums have a shared roof top deck with barbeque area and fire pit. Again, the Pinnacle Living floorplans will range from one bedroom suites (starting from the low six hundred square feet range) to two bedroom suites (some of which are over 1000 sq ft in size). The Vancouver penthouse suites offered at the Pinnacle Living on Broadway real estate development features rooftop decks that are humongous. The spacious floorplans is also a great selling feature and will only increase the future resale value of these centrally located condominiums. Thank you again for your interest in Pinnacle Living on Broadway Vancouver real estate development of luxurious condo homes. Pursuant to our previous email, we hope our sales team was able to contact you regarding our upcoming Vancouver Pinnacle Living Condos on Broadway preview. In case you still have not booked an appointment to preview the show suite, we are pleased to announce that our Preview Opening starts this Saturday (January 30, 2010). The new Pinnacle Living on Broadway Vancouver real estate condo sales office located at 2080 West Broadway will be open daily from 12 – 5 pm. We look forward to seeing you there.